So you were wondering if a cooking class was a good activity for your 3-4-5 years old kids. Why this, and not a playground or art or music or library story time? All the above mentioned are super, okay? But for variety, a cooking class can be a great addition, and it is available here, in Calgary, too. Why a cooking class is good for young children? Little kids are born explorers! While making food, they can use all their senses to learn about edible stuff. How does things look, taste, smell, feel… What do I like, or don’t like… What happens when I mix these two ingredients… How are they going to taste together? Cooking and baking is a great sensory activity, beneficial to all children. During cooking classes, the kids practice skills they will need in real school soon. I don’t want to skip ahead in time, but let me warn you: teenage years will come sooner than you thought. Let the kids work with you in the kitchen while they are sweet and little and want to help! I’d like to share with you guys my old and faithful bread recipe I’ve been baking since ages. It is simple and works every time. Very good for beginners. Temperature is important when we’re making dough with yeast. The kitchen should be draft-less. The water we use should be warm, not cold, and definitely not hot. Put the yeast and a tablespoon of sugar in a cup of warm water. 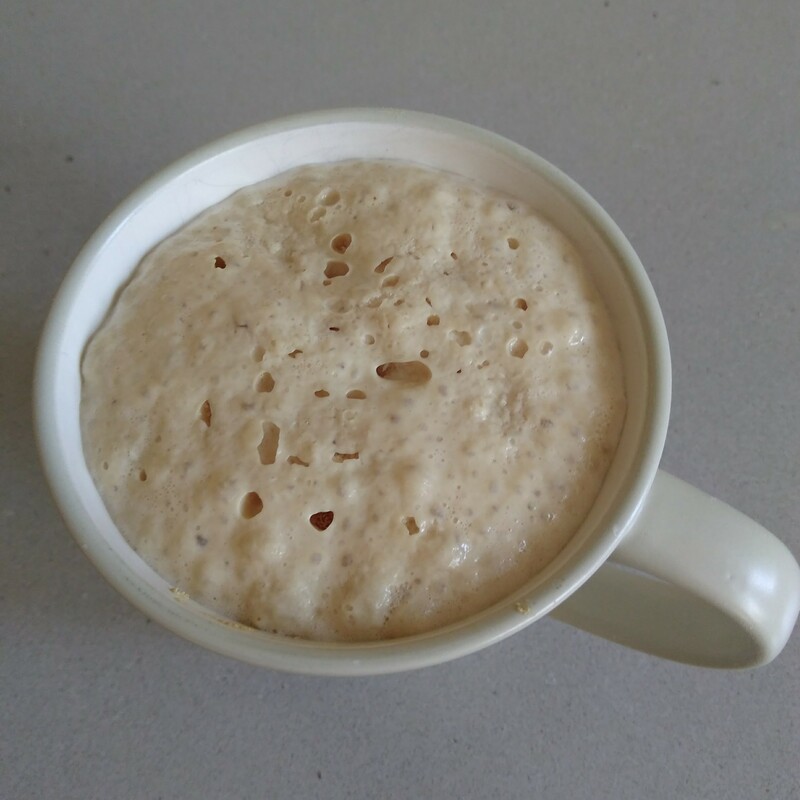 Let the yeast rise until foamy. While waiting, measure the flours, a spoonful of sugar and the salt into a large mixing bowl. When the yeast is ready, pour it on the flour. Add two more cups of water. Grab your mixer and start mixing everything on slow/stir setting. Increase the speed according to the instructions of your mixer. Add butter gradually. Add water as needed by spoonful. Add flour if needed. 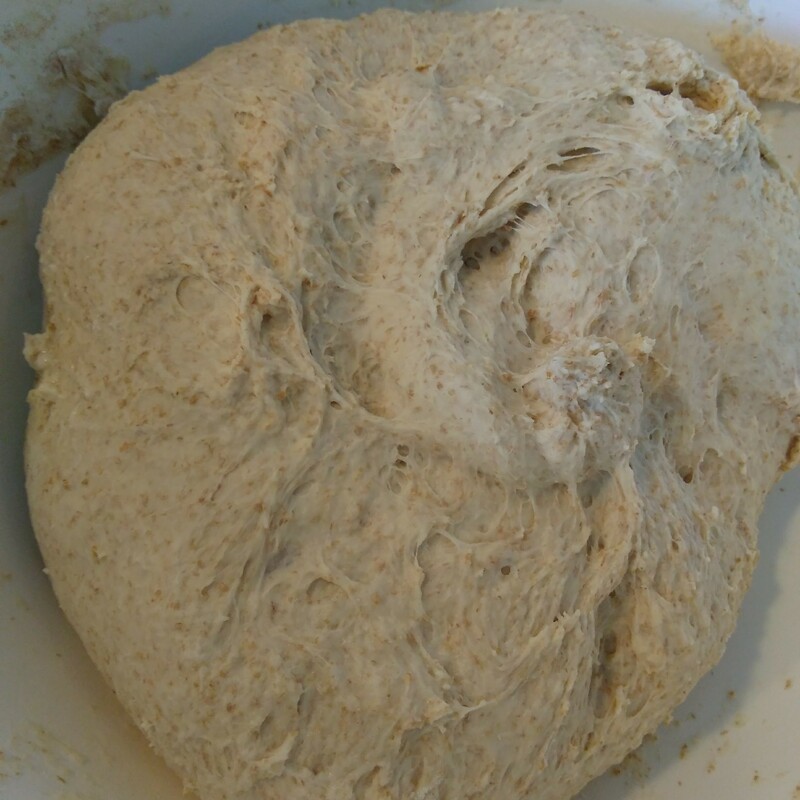 The mixing is done when the dough have come together in a nice ball. 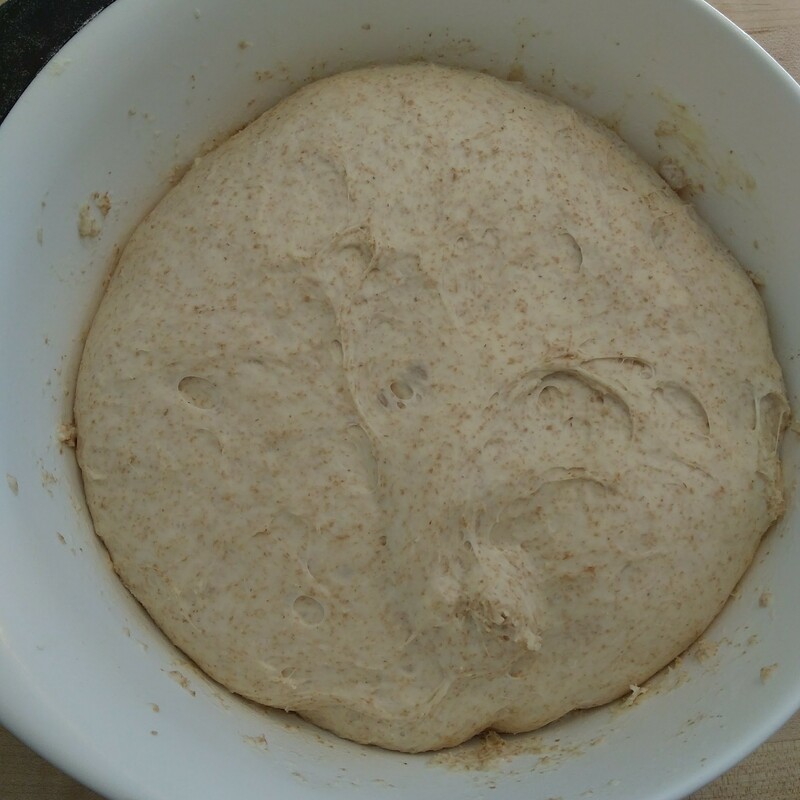 On a floured work surface, get the dough out of the bowl and knead it down. Cut it in a half. Line the loaf pans with parchment paper. Form the halves and put them in the loaf pans. Cover them with plastic and let them rise in a warm place. It takes about an hour, or maybe less if your place is warmer, or if using the warming drawer of the oven. Try not to let them over-rise, because then the top crust will be ruined. Ask me how I know. Bake the bread for 30 minutes. When done, get the bread out of the pan and let it cool on a rack, covered with a clean tea towel. I hope you found this tutorial helpful. Let me know in the comments below if something is unclear or missing and I’ll fix it. Thanks and happy baking!